It’s been a long while since I indulged my affection for the US ‘Century Series’ fighters, and Kelly Johnson’s superb ‘Zipper’ in particular. Time to address that now, with a long look at the last of the line. This is the English-language release of Aeronautica Militare’s F-104 Starfighter: Storia di un mito. The translation is fairly obvious, but I’d respectfully suggest that ‘legend’ may have been the word they were looking for, rather than ‘myth’. Anyway, at about half an hour long, it’s a hugely enjoyable doco. 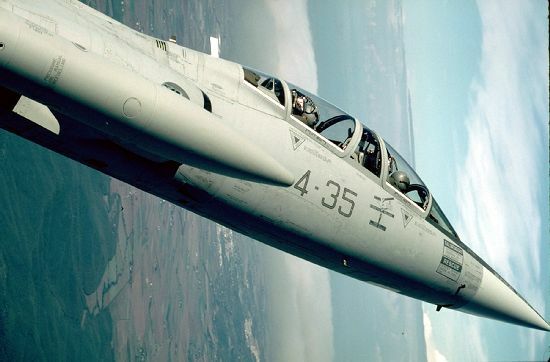 The film was made as something of a swan-song to the AMI’s F-104 fleet, clearly with very fond memories, and the Zipper is lovingly exhibited. Enjoy. Because the Aeronautica Militare Italiana – or AMI – didn’t retire their Starfighters until October 31st, 2004 (yes, you read that right! )^ the coverage stretches into the days when high quality video cameras and smartphones became common personal property. That means we get to enjoy tons of gorgeous Starfighter shots, rather than the usual fuzzy, government issue and, by default, over-familiar footage that serves most of the Century Series. ^ In fact, the very last AMI flight, made by TF-104G-M serial MM54260 “RS-08” of 311°Gruppo, was on July 27th 2005. 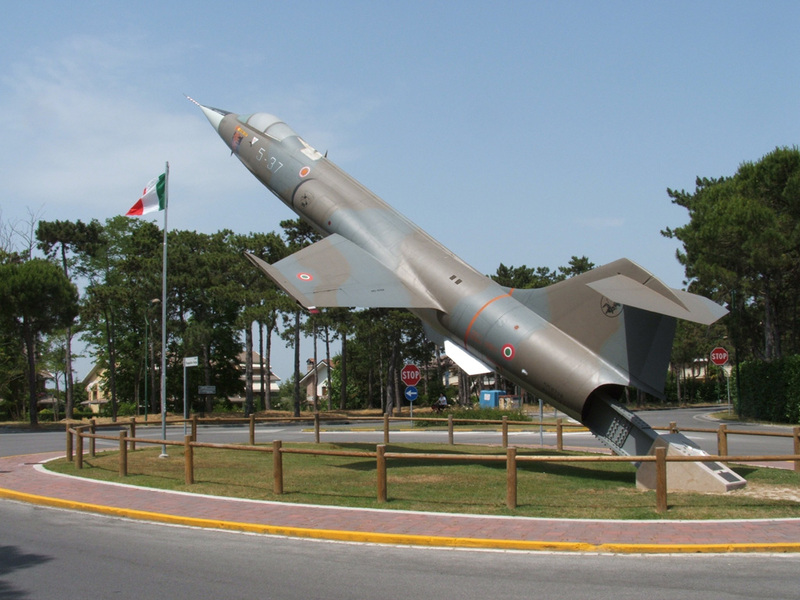 The F-104 could have been designed for the Italians – given their propensity toward speed and streamlining (think Macchi, Ferrari, Ducati, etc) – so the end was always going to be heart-wrenching when it came. *’Stelletto’ isn’t a real term, by the way – just an attempt at word-play in a language I don’t even speak: stella, star; stilletto, the long, thin italian dagger… Geddit?? 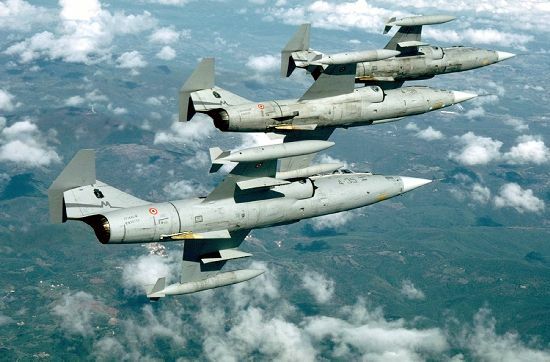 Italy first selected the F-104S over the F-4B/C Phantom, Mirage IIIC, BAC Lightning and F100S Super Sabre in the mid-1960s. So, in terms of aerial victories, the F-104 had already beaten four of the world’s best jet fighters before it entered service! The Italians weren’t new to the Starfighter either. They’d been flying the troubled F-104G since 1961, experiencing 23 losses from a fleet of 149. And the S variant was a further, if slightly simplified, version of Lockheed’s CL-901 ‘Super Starfighter’ proposal. Aeritalia would build two versions of the new jet – a pure interceptor equipped with AIM-7 Sparrows and a fighter-bomber with the original M-61 Vulcan cannon and hard points for mud-moving ordnance. Pairing the F-104G’s engine installation with the improved J79-GE-19 gave the Italians a VNE of Mach 2.2 (or 1,259 knots at 36,000 feet / 2,330 kph at 11,000m), and the ability to reach 39,000 feet (12,000m) and Mach 2 in under five minutes. Aeritalia made 246 copies of their fighter in all – 205 for the AMI and 40 for Turkey – flying the first test-bed on December 22nd, 1966 and the first production jet two years later. The final aircraft was delivered to Turkey in 1979. 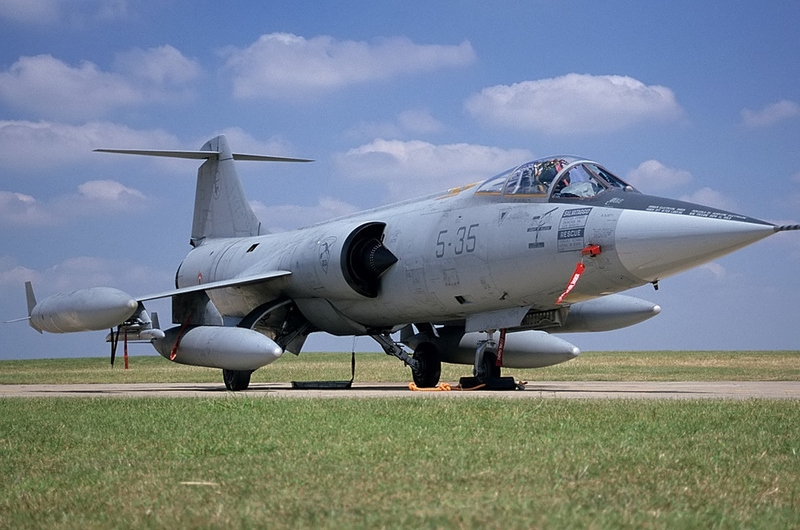 Whether Lockheed’s F-104 was the ultimate Century jet or not, the F-104S was definitely the ultimate Starfighter. And there’s little doubt that Italian pilots loved their Spillone (‘Hatpin’) – even if they did also nick-name it the Bara volante or ‘Flying coffin’. I know different design missions make a straight comparison unfair, but the F-104 stands as the ultimate Century Series success. It’s speed, time to climb and altitude records – which included 1,404.19 mph and an unofficial 120,800 feet – set it apart from its contemporaries. And let’s not forget that it was still showing the next generation’s F-4 a clean pair of heels. But ultimately, it’s the fact that Aeritalia’s F-104S flew for Turkey until the mid-1990s, and for Italy well into the following decade, that really gives Kelly Johnson’s ‘manned missile’ the Century crown. What’s more, the venerable Starfighter isn’t done yet – there are now plans to use F-104s to launch cubesats into the low earth orbit. And if that doesn’t qualify it as one of the 1950’s most future-proof designs, I can’t imagine what would. I’ve always loved the F-104. On the one hand, the wings are so inconsequential looking that it seems their only purpose is to make it look like an aircraft. 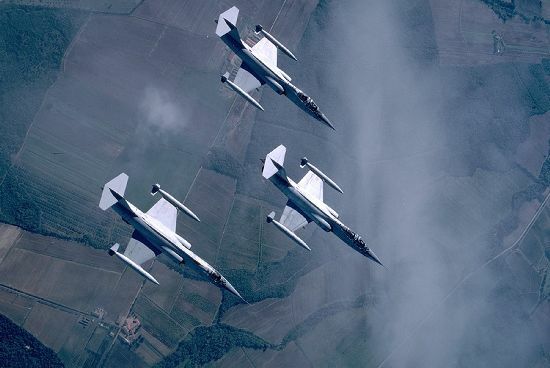 On the other hand… well, look at that top-down photo of the three Starfighters in formation. For something designed in the 50’s, it looks more futuristic than anything on the drawing board today. I like the fact that it had a reputation as a difficult aircraft. Much like the Pitts, you had to know what you were doing if you wanted to alight in one piece. Those sorts of characteristics build good pilots, and pilots of good character. That’s so true about the F-104 looking and being ahead of its time… I’ve often thought those little wings must be as much about roll control as any contribution to lift. It wouldn’t seem out of place in a sci-fi movie – so I love the idea of it being used to launch satellites into the 21st Century. What a jet! Very interesting. It kinda cracks me up that the Italian’s would make a video about saying goodbye to a fighter! But they are a very sentimental people. Ha ha! I’m not quite sure how I can respond to that appropriately… I guess the Italians could be called sentimental in a lot of cases but the fact remains that they operated their F-104s very successfully for far longer than any other air force – and with far fewer problems. They really took Kelly Johnson’s masterpiece and made it their own. Add the fact that the Starfighter seemed to encapsulate everything the Italians love about outrageous speed and streamlining, and I’d say they’re entitled to a lingering farewell!